The 128 contestants with the highest scores from each Region will move on to Round 2. The 16 contestants with the highest scores from each Region will move on to Round 3. The 8 contestants with the highest scores in Round 3 from each Region will move on to Round 4 Final Round. After all eight groups have finished their race events, the four contestants with the fewest points among all contestants will be eliminated from the National Finals. The remaining contestants advance to the next round of the National Finals. Round 2 will have 7 groups of 4 contestants each. Bottom 4 contestants will be eliminated. Round 3 will have 6 groups of 4 contestants each. Bottom 4 contestants will be eliminated. Round 4 will have 5 groups of 4 contestants each. Bottom 4 contestants will be eliminated. Race difficulty gradually increases per round of the National Finals, with later races being in more difficult cars and tracks. Sponsor will select the tracks, number of laps, cars, and car settings prior to start of each round. The top 128 contestants from each of the four Regions at the end of Round 1 will receive a Gran Turismo® download voucher code for download and play on the PSP® (PlayStation®Portable) system. Approximate retail value, $39.99. Round 1 Winners will be announced by January 30, 2011. In addition, during each of the five weeks of Round 1, Sponsor will award the following prizes. Contestant with the fastest combined Time Trial Event time on the national leaderboard will receive one Playseat Revolution (Gran Turismo Edition) racing seat (plus one (1) Logitech Driving Force GT wheel and one (1) GT5 poster (approx retail value $760.00). The contestants that finish with the second through fifth fastest combined Time Trial Event time on the national leaderboard will receive one (1) Logitech Driving Force™ GT wheel and one (1) GT5 poster (approx retail value $160.00). Contestants that finish with the sixth through twentieth fastest combined Time Trial Event time on the national leaderboard will receive one (1) GT5 poster (approx retail value $10). A contestant cannot win more than one of the same prize. For example, winner of week 1 (Playseat, Logitech wheel and poster) cannot win those prizes in subsequent weeks. If the same contestant finishes in the same winner bracket more than once in each week of competition, the prize will be awarded to the next person on the national leaderboard. The top sixteen contestants from each Region at the end of Round 2 will receive a copy of Gran Turismo® 5 Collector’s Edition for the PLAYSTATION®3 system. Approximate retail value, $99.99. Round 2 winners will be announced by February 13, 2011. 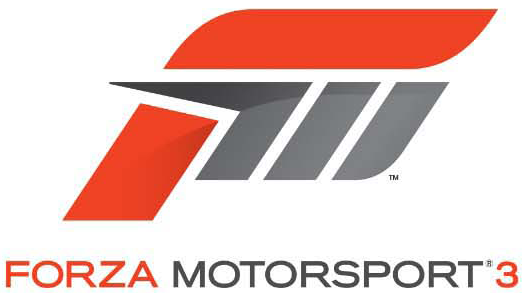 The eight top contestants from each Region at the end of Round 3 will win a prize package that includes one roundtrip airfare to the National Finals, hotel accommodations for two nights, transportation to and from the National Finals, and a chance to race and compete to move on to GT Academy where the ultimate prize is the chance to become a real professional race driver. (Approximate retail value of trip to National Finals and accommodations is $3000.00). A National Final’s qualifying contestant’s Prize will be forfeited if that contestant is unable to travel during designated time period, or if that contestant does not return required affidavit in time to verify age and state of residency or other compliance with these Contest rules. No refund or compensation will be made in the event of the cancellation or delay of any flight. Travel and accommodations are subject to availability. All expenses and incidental travel costs not expressly stated in the package description above, including ground transportation, meals, incidentals, passenger tariffs or duties, surcharges, airport fees, service charges or facility charges, personal charges at lodging, security fees, taxes or other expenses are contestants’ sole responsibility. If Sponsor determines that air travel is not required due to a contestant's proximity to prize location, ground transportation will be substituted for roundtrip air travel at Sponsors' sole discretion. The top sixteen National Finals contestants who meet the Eligibility criteria described in Addendum A will win a chance to enter GT Academy. How are you making out so far Don? I'm hoping to give it a go later this week. I haven't had nearly as much time with it as I've wanted what with the holidays and all, but I'm in the top 50 for my region so far. Oh, and just because I can: these sorts of "uncertified" times would never have happened in Forza 3. Round Two of GT Academy won't count, and Round Three is postponed indefinitely. Oops! Yeah, I saw that. Man what a bummer. And apparently at least one of the tracks in Round One was faster when cutting the corners, so people are calling for Sony to issue some sort of patch and start the whole thing over. I'd be all for that, it would give me a chance to get into the competition this time! Yeah me too, I didn't get a chance to put the time into it at the end of round 1 and missed the cut. Well, now we know it wasn't for lack of skill!